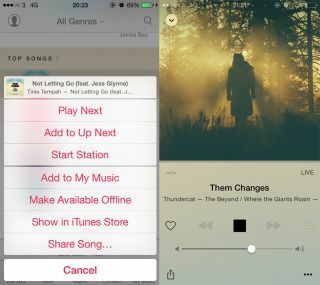 Apple Music predicted to have 7.5m paying subscribers | What Hi-Fi? Apple’s streaming service has been deemed a “success” by industry analysts, as early adopters approach the end of the three-month trial period. The New York Post cites industry sources that say Apple Music has racked up 15 million users in the first three months of its release - an increase from the 11 million reported by Apple after the first month. Apple Music executives are said to have predicted similar numbers, realising that a slow first-quarter would be likely. It’s also predicted that around half of users have not turned off the auto-pay feature, meaning they’ll be signed up to pay for the service when the trial period ends for the first subscribers on 30th September. Whether this is due to people wanting to use Apple Music or simply not realising they're signed up to pay, remains to be seen. The real test will perhaps be how many paying subscribers Apple Music has in a month or so. However, if all 7.5 million subscribers do indeed choose to keep paying, it would mean Apple would have more than a third of the number of Spotify’s 20 million paying subscribers. Spotify launched eight years ago, making Apple’s achievement no mean feat - though the integrated nature of Apple Music on iOS devices makes the comparison something of an uneven playing field. Daniel Ek, CEO of Spotify, has been bullish about his company's performance in recent weeks, insisting Spotify has added customers since the launch of Apple Music. With the iPhone 6S and iPhone 6S Plus in shops from Friday, complete with Apple Music preinstalled as part of iOS 9, subscriber numbers could get another boost. Whether Apple releases Apple Music user numbers any time soon, remains to be seen.